If you teach a tested subject, come on inside and check out the content-specific resources ready for you! Secondary content resources come from efforts by Sylvania teacher leaders in both the 2016 and 2017 testing seasons. All materials were created and curated to support student practice for the AIR tests. At the January late start, teachers of tested subjects were introduced to the test preparation resources developed on the Edcite platform, a digital assessment generator that allows for authentic AIR-style interaction. The AIR Preparation Resources website is full of preparation resources for each tested subject and grade. Click the image below to access the full website of materials. Secondary teachers can access content resources to support student preparation through Google Classrooms. These Classrooms have been established to enable teacher sharing of resources. Check them out for practice tests, web resources, teacher-developed materials, and more. Feel free to participate by posting your useful resources as well! 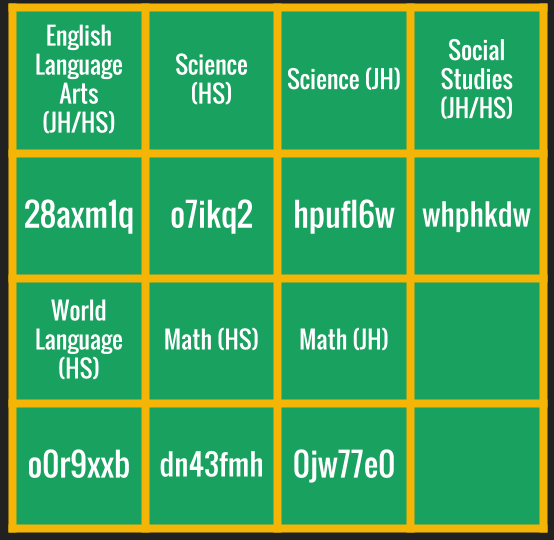 To access the Classroom, go to Google Classroom and enter the access code listed below to join the specific Classroom.